If you’ve been following this blog for awhile, you’ll be well aware that I love a good dress (examples here, here and here) and this summer, they’re having a bit of a moment. With so much on offer, I’ve picked 12 that are, in my humble opinion, worth your attention! Such a great selection!! The pink dresses are my favourites!! Thanks Mónica, pink is my fave colour so those four definitely have my eye too!! 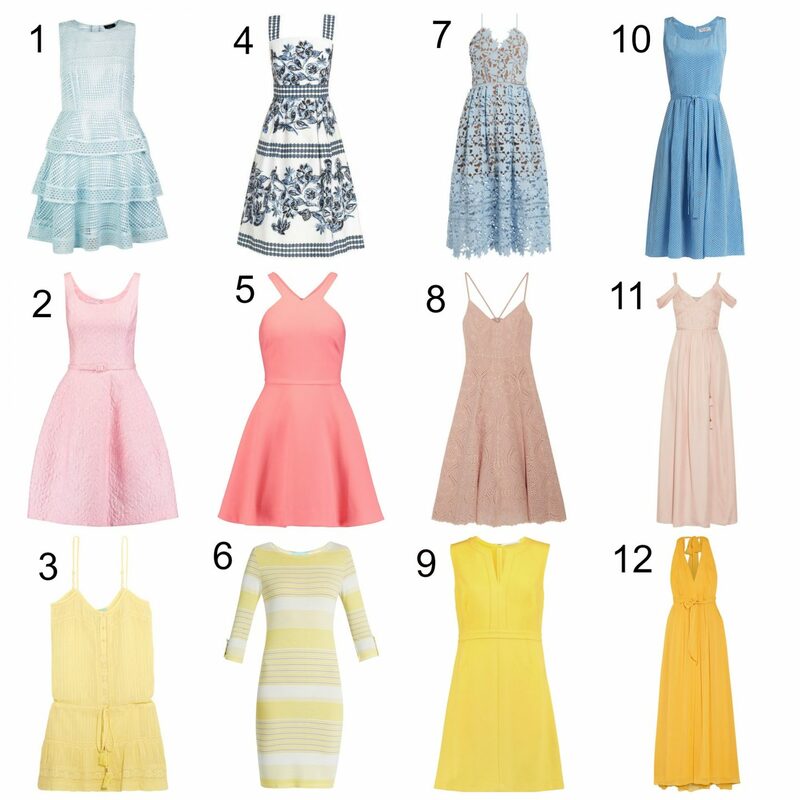 Number 7 is just stunning and love the neckline on number 5! So many beautiful dresses! I love everything about #7! love all these fun colors! cute picks! Love your picks! Especially number 7! Love, love the way yellow looks on tanned skin in the summer. Love the picks! Cool selection of dresses. I love #7! Seems to be quite a favourite Yana!! I’m so glad you like them Lexi! What a stunning collection of dresses! Thanks Ushmana! I wish I could magic them all into my wardrobe!! These are all my favorite colors for summer! I am especially fond of the soft blue dresses you’ve picked!